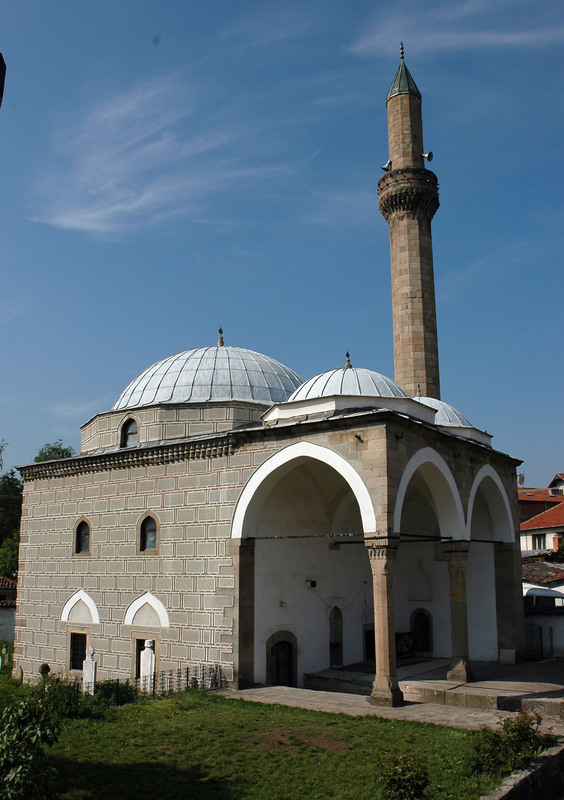 Altun – alem Mosque is one of the oldest and most beautiful mosques in Balkan. It is in the middle of Prvomajska Street in old part of the city. A mosque was built in the 16th centuty and it was established by Muslihedin Abdul Gani known as Mujezin hodža Al Medini. He was well educated man and thus known as mavlan – Muslihedin efendy, which as the honorable rank was used only for the highly distinguished Islamic scientists and philosophers. In the Turkish archives (vakufnami) from 1550 these Muslihedin – efendy’s objects are mentioned: Altun-alem Mosque, Mekteb in the yard of the mosque, three households for the imam, the famous han, six shops next to the hamam, six tanner shops and seven watermills next to the bridge, on the banks of Raška River. It was common to tell stories about magnificent buildings so; therefore there is a legend about Altun-alem Mosque. In the yard of the Altun alem Mosque Muslihedin Abdul Gani ordered construction of ’’the house where Kur’an is to be learned by young children’’, as was written in the vakufnami, where the wage of a teacher and his deputy was determined, under the condition that ’’ mualim is reliable, and the best among the good, persistent and capable of teaching and preaching’’. This endowment, exceedingly lower than the mosque, was constructed with the seal of monumental, with the aim to support architectural style of the mosque next to it. This Mekteb is also important as one of the oldest mektabs of the Bosnian Pašaluk, preserved until now. There is a custom to tell myths and legends about beautiful, especially sacral structures, so this one is connected with the Altun-alem Mosque: Altuna, Hadžira and Halima, three daughters of the paša, beautiful as the Jannah houris (Heavenly Maidens), were born and educated in Novi Pazar. Because of their beauty, richness and reputation, no one dared to propose marriage to them, as ’’they were born only for Stambol’’, and the royal sarays, and not for Novi Pazar. Days passed and time made it that all three pasha’s daughters remained single. Years before their death – they agreed to leave all their wealth for charity. Altuna donated the construction of the mosque, which wass named after her the Altun-alem Mosque. Hadžira donated land to the city graveyard in the south-west part of the town, which is still today known as Hadžet. The youngest sister Halima funded the construction of the fountain in the town, which today is still called Halimača. Hamam is the only sacral monument that still exists and dates from the period of founding of Novi Pazar. Isa-bey’s Hamam is also known as Old Hamam of Novi Pazar. It is an old Turkish bath and it is very close to the old town on the right bank of the river Raška. Hamam was built by the third Bey of Ottoman Bosnia and chief founder of Sarajevo and Novi Pazar – Isa-bey Ishaković. This Turkish bath was built in the second half of the 15th century (1461 – 1463). Old Hamam is the very example of double public bathroom. There were identical rooms in longitudinal centerline base, separated with stone walls for women and men. Each room had separated entrance and specificity. There were eleven domes of variable sizes with hexagonal holes. Each room was covered with a dome. On the north side of Hamam there was šadrvan (a marble fountain) – a waiting room and a dressing room, while on the south side there was so called hazna – a room for heating water. Šadrvan was subsequently rebuilt and it greatly differs from usual method in the construction of hamams. Out of this room there was kapaluk, a room which was used for relaxation after bathing. There were three rooms for bathing. In the men’s part kapaluk was covered with one dome and in the women’s part it was covered with two domes. There were stone and marble fountains with ornaments. Along Hamam there was a room for heating water (hazna) and there was a tank of cold water called terazija (the scales) where water flew through the pipes to the taps. By mixing hot and cold water the desired water temperature could be obtained. At the entrance of Hamam there were kafezi (dressing rooms) and a room for tenant who charged money for bathing. The price for bathing wasn’t specified so people who used this public bath paid at their discretion. After bathing each guest was offered coffee and cigarettes. There were also specially equipped and designed kafezi for rich people and civil servants who visited and used Hamam. The other three kafezi were for second – class citizens. The battalion in army barracks was settled near Hamam. Every morning a duty soldier would ask an army if someone needed bathing. If someone had a dream about a woman, according to Islamic tradition, the duty soldier would take him to Hamam and then take him back to the barracks. 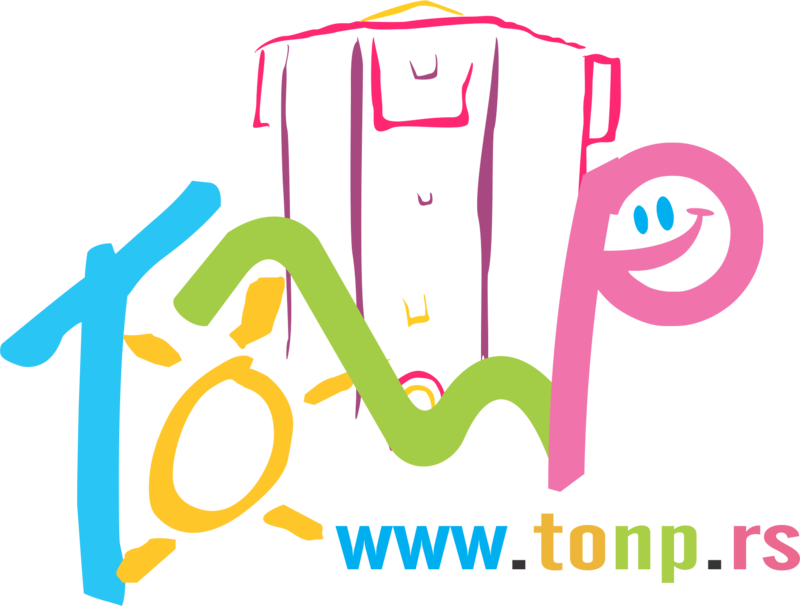 There were also two fellow men who worked in Hamam and two women who changed towels. The guests also had slippers made out of wood – nanule. Along with Hamam in Prizren, this Hamam is the only preserved monument of this architectural style. A few years ago, the remains of another Hamam were found in the yard of the city museum. It is presumed that it dates back to the 15th century, as well. According to the scriptures of Evlija Čelebija from the 16th century, there were two hamams in Novi Pazar. Today, this monument of Islamic architecture is under the protection of the Republic of Serbia, as a cultural monument of great importance. Hamam is located in the old part of city (Stara čaršija), in the street 7. Juli , in the quart known as ’’pod Hamam’’. Hamam is sheltered with Arab Mosque from the left side. From the right side there are little craft and trade shops. The 15th century Turkish public bath in Novi Pazar is the oldest in Serbia when history of Ottoman Novi Pazar began. It is presumed that the Han exists since the 17th century, but there is no reliable data when it was built. Novi Pazar used to have six Hans (according to the scriptures of Evlija Čelebija from the 17th century) and today there are only two left. It is located in the heart of the city, near square Isa-bey Ishaković and with its outstanding beauty Han represents the only monumental building from that period. According to the architectural style this facility is different from the typical buildings of this type. Within this complex there are small stores and this is the remnant part of an old Novi Pazar on the left bank of the river Raška. 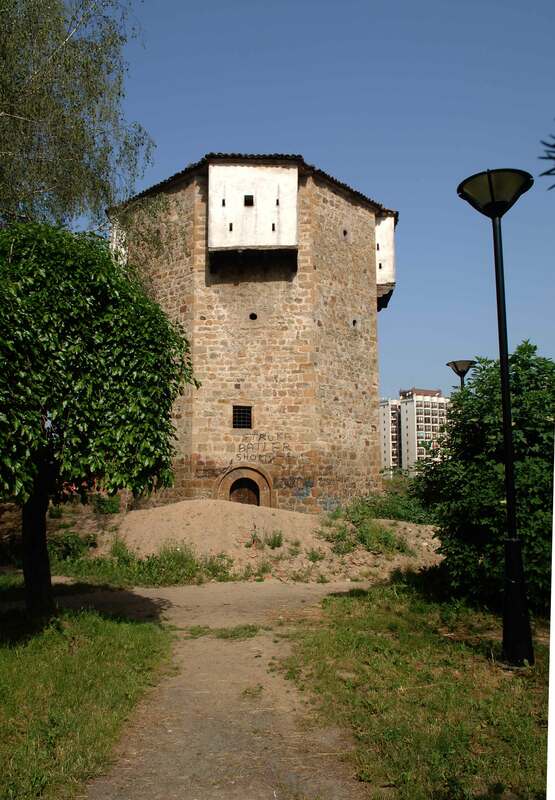 Novi Pazar’s Ottoman Han once served as a resting place for travelers and merchants passing through the Sandžak region. Novi Pazar provided an ideal resting point between the major trading centers in Bosnia and Dubrovnik to the west and Thessaloniki and Istanbul to the east, so the Han was a popular place to seek accommodation. Han formerly offered room for guests upstairs, while the downstairs provided space for livestock. 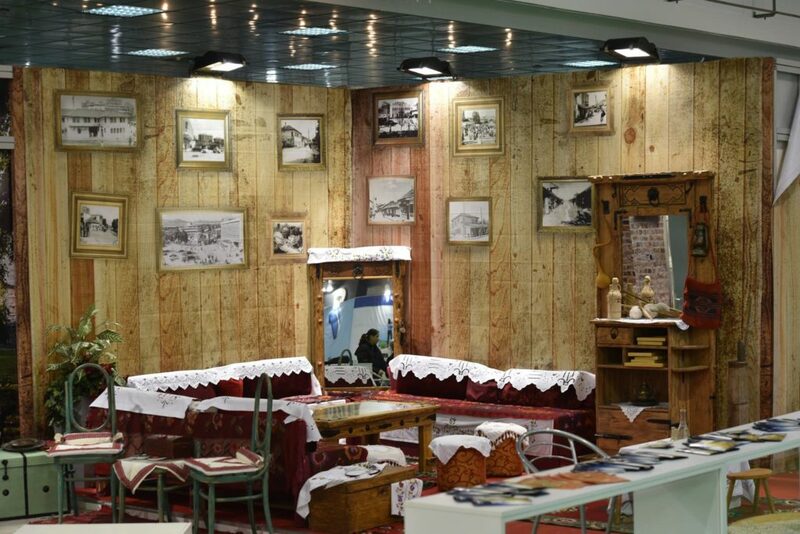 It successfully operated during the Ottoman period and it still functions providing space for the events. Novi Pazar Fortress was built by the Ottoman Turks in the 15th century while Novi Pazar was founded by Isa-bey Isakovic. The fortress was situated on the crossroad of routes connecting Bosnia, Dubrovnik and southern Adriatic coast with Constantinople and Thessalonica. The fortress was built pursuant to basic principles of bastion artillery fortifications. At first, military fortification was built of wood construction at the bank of Raška River. After the Turks were defeated in 1683 and after Austrians breached in Skopje, The Ottoman Turks replaced a wooden construction with the one made of stone. Some works were done in 1692 but the major works were carried out until 1750. During the Reign of Sultan Abdul Azis, two new parts were built, a storehouse for weapons and ammunition, a mosque and new barracks. After Balkan Wars Serbian army destroyed a little mosque inside the fortified complex. The other tower, next to the north bastion, was destroyed after World War I. The gates, accessory facilities and Austrian chapel remained until 1960. On the north side of Bedem there is a Watchtower (Kula Motrilja). 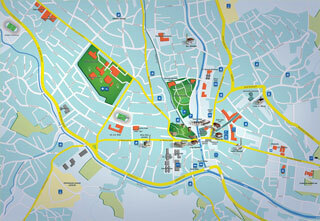 Novi Pazar Fortress is surrounded by park in the very center of the city, on the right bank of Raška River. On a competitive basis and a bank “Intesa” donations in 2013 the ramparts were restored and the archeological works were carried out inside the Fortress.